For the year 2015, the American Cancer Society is estimating about 220,800 new cases of prostate cancer. 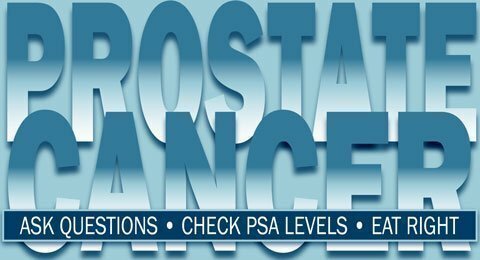 Around 27,540 deaths will occur due to prostate cancer. Men aged 65 and older are more at risk, and it is rare before age 40. Being diagnosed with prostate cancer is serious but the majority of men who develop this disease will not die from it. Due to advancements in early detection and treatments, more than 2.9 million men in the United States are living proof it can be beaten. Age – Men past the age of 65 are more likely to develop it with the average age of diagnosis being around 66. Family history of prostate or breast cancer – The risk will tend to be increased if any male relative has had prostate cancer. Also a strong family history of breast cancer, particularly breast cancer involving the BRCA1 or BRCA2 genes, may increase the risk of prostate cancer. Obesity – Excessive weight gain can put a man at a higher risk since by the time they are diagnosed, the prostate cancer may have advanced and be more difficult to treat. Race – For unknown reasons, black men have a higher risk of prostate cancer and it is also more likely to be aggressive or advanced. Eat lots of fruits and vegetables. We’ve all heard this but exactly how many servings are needed daily and what does a serving size look like? The CDC offers an easy fruits and vegetables calculator here. The calculator figures number of servings and serving size based on age, gender and activity level. Keep in mind, consuming plant-based foods may or may not prevent prostate cancer. However, fruits and vegetables contain numerous vitamins, minerals, fiber and phytochemicals that are important to good health. Limit consumption of red meat and high-fat foods. Red meat can be part of a healthy diet but the portion size and cut of meat is important. A portion size of red meat is three ounces, which is about the size of an iPhone, to be eaten no more than two to three times a week. Choose lean cuts of red meat – look for the words “round,” “loin,” or “sirloin” on the package. Trim fat off before cooking and use healthier methods of cooking: bake, broil, stew or grill. Reduce intake of high-fat foods such as processed meats like bacon, sausage and bologna. Maintain a healthy weight. Make healthy eating and exercise a regular part of your lifestyle to keep weight in check. If you’re not sure how to achieve a healthy body weight, see a registered dietitian. Vitamin D – This vitamin appears to play a significant role in slowing or even reversing the progression of low-grade or less aggressive prostate tumors. Recent research indicated that giving 4,000 IU of vitamin D daily showed improvements in the tumors compared to men who did not get the supplement. Food sources of vitamin D include fortified milk, tuna, salmon, sardines and enriched cereal. The best source is sunlight. Lycopene – This phytochemical is a member of the carotenoid pigment family that gives fruits and vegetables, such as tomatoes, a red color. It is found in high concentrations in tomatoes and tomato products such as ketchup, tomato paste and tomato sauce. The processed tomato products (tomato sauce and ketchup) actually contain lycopene with greater bioavailability than raw tomatoes. Other foods that contain lycopene but at much lower levels are watermelon, papaya, and pink grapefruit. It has been theorized that lycopene may lower the risk for prostate cancer by reducing the rapid growth of prostate cancer cells. However, more studies are needed to verify this, but in the meantime, a diet rich in lycopene can be safely recommended as a possible tool in the fight against prostate cancer as it has no adverse effects or contraindications. Soy – This plant source of a complete protein (meaning it contains all nine essential amino acids) may play a role in lowering risk of prostate cancer. Studies have shown that men in various stages of prostate cancer who consumed soy products, had their PSA (prostate-specific antigen) levels rise at a slower rate. Soy foods to include are tofu, soy milk, edamame and miso. In addition to being a good protein source, it also contains fiber, potassium, and magnesium. Vitamin C – This antioxidant is abundant in fruits and vegetables, particularly citrus fruits. Its work as an antioxidant is to prevent oxidative damage to cells by scavenging free radicals, and inhibits the growth of prostate cancer cells. At this time the influence it has on prostate cancer risk is not strong as more research is needed to prove its effectiveness. Beta-carotene – This carotenoid which is found exclusively in fruits and vegetables, functions as a potent antioxidant, influencing cell growth. Several studies on its effect on prostate cancer have been conducted with inconclusive results. Vitamin E and selenium – A study funded by the U.S. National Cancer Institute, was based on data gathered from the Selenium and Vitamin E Cancer Prevention Trial (SELECT) found that men taking selenium supplements might double their risk of aggressive prostate cancer if they already had high concentrations of selenium in their bodies. The men who took vitamin E alone also had an increased risk for prostate cancer if they had low levels of selenium. The SELECT study began in 2001 but was stopped early in 2008 due to lack of finding any protective benefits from taking 200 mcg of selenium and 400 IU or 268 mg of vitamin E. The normal recommended daily intake for adult men are 55 mcg of selenium and 22 IU or 15 mg of vitamin E. Selenium is found in a wide range of foods from meats and shellfish and in nuts, vegetables and grains. Vitamin E is rich in wheat germ, vegetable oils such as canola and safflower oils, and sunflower seeds. Zinc – This mineral is involved in immune response and cell growth. It is of interest in the prostate as it is found in high concentrations in prostate cells. Researchers have examined the link between zinc supplements and prostate cancer risk. What they found was that men who took more than 100 mg of zinc each day were more than twice as likely to develop advanced prostate cancer as men who took amounts less than 100 mg a day. The recommended daily allowance for zinc for men is 11 mg per day. The Tolerable Upper Intake Level for zinc is 40 mg a day. Food sources include breakfast cereals, beef, poultry, shellfish and milk products. At this point in time, there are certain things a man can do to be proactive in reducing his lifetime risk of developing prostate cancer. Eat a healthy diet, exercise, achieve a healthy body weight, and always consult with your physician for more advice on recognizing the signs and symptoms of prostate cancer. Watch this video to learn more about how to educate yourself on this common cancer in men. Sources: Vance, T.M., Su, J., Fontham, E.T.H., Koo, S. I., & Chun, O.K. Dietary antioxidants and prostate cancer: a review. Nutr Cancer. 2013: 65(6); MD Anderson Cancer Center; Centers for Disease Control and Prevention; American Cancer Society; Mayo Clinic; Holzapfel, N. P., Holzapfel, B. M., Champ, S., Feldthusen, J., Clements, J., & Hutmacher, D. W. The potential role of lycopene for the prevention and therapy of prostate cancer from molecular mechanisms to clinical evidence. In J Mol Sci. 2013 July; 14(7): 14620-14646.